When I was a child my absolute favorite store was Office Depot®. Strange for a child, I know, but I vividly remember walking into the store with my Mom and Dad and being filled with excitement over the distinct smell of paper. I have always loved the smell of paper. Maybe that explains my love of writing and keeping a journal at such a young age and even now. 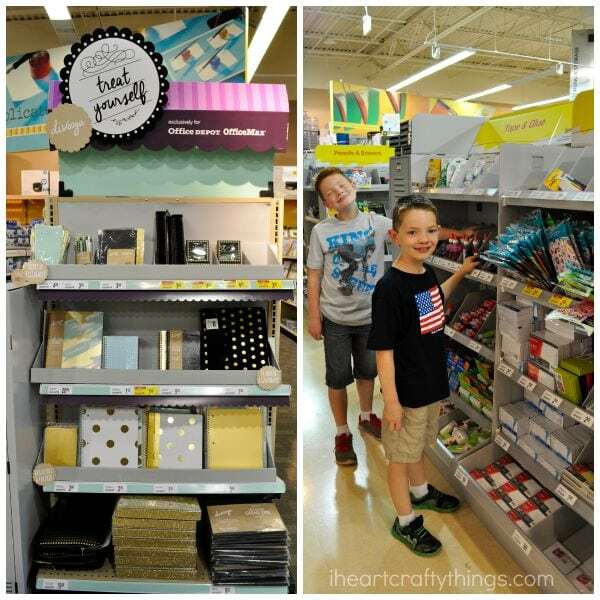 As we walked down the aisles of Office Depot®, the notebook and journal aisle was (of course!) my favorite. I loved holding the bound books in my hands imagining what I could write or draw inside them. 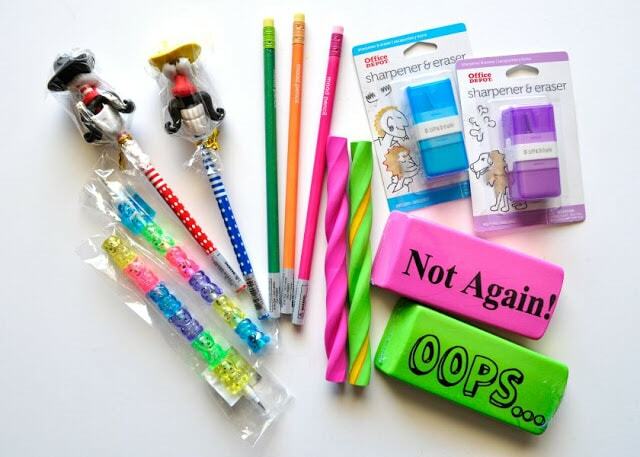 Now that I’m an adult I still love Office Depot®, especially when we do our back to school shopping. This year we made out with quite a haul of school supplies for a great price and I even picked out some extra special items for my children as a Back-to-School Kids Gift. 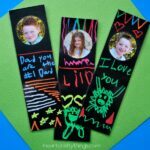 I’m excited to share them with you today along with our Printable Gift Tag that you can download and use. With such a huge array of supplies and products, it’s no wonder why I love doing my back to school shopping at Office Depot®. 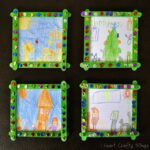 Whether your children attend traditional, private or home school,and if they are preschool age through college, Office Depot® has everything to offer. 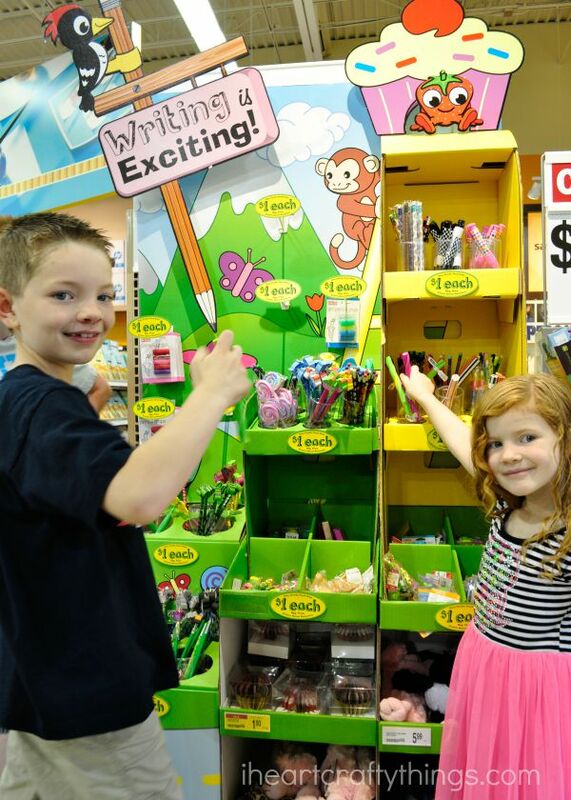 In fact, I love how they have the gear my kids want and not just the supplies they need. 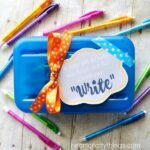 When we did our shopping my kids were head over heals about the bright and colorful writing accessories they had on display. It was hard to peel them away from the display. Who am I kidding though, it was hard to peel myself away from the display. I mean how cool are these pencils with the funny face erasers?! And mood pencils that change colors at the touch?! Seriously! I wanted to grab a handful for my own personal stash. I ended up picking out some of my kids’ favorites to surprise them with a special back to school gift. 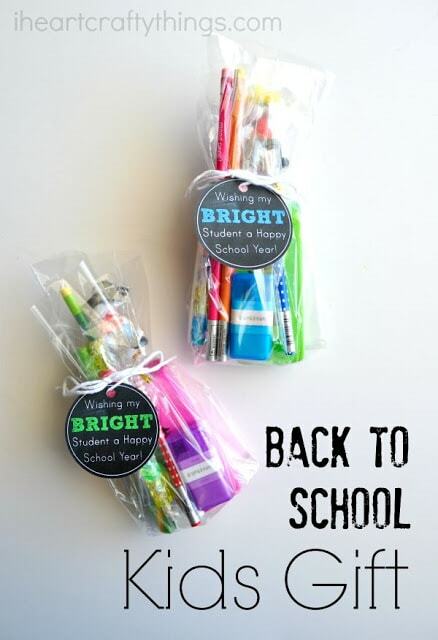 Amidst the traditional school supplies and fun writing accessories, they also have stylish notebooks, back packs, lunch gear and other accessories that you and your kids will love. Some you can even Enter Now for a chance to win! I also stopped to check out the electronics because I’ve had my eye on getting a new laptop. Their staff was super helpful and knowledgeable and was able to answer all of my questions. 1. 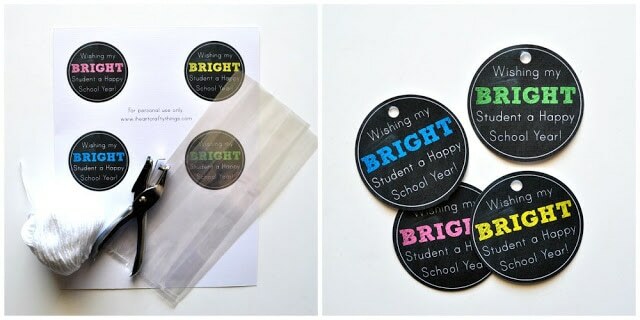 Start by printing off the Gift Tag Printable. Cut out the tags of your choice and punch a hole at the top of the tag. 2. 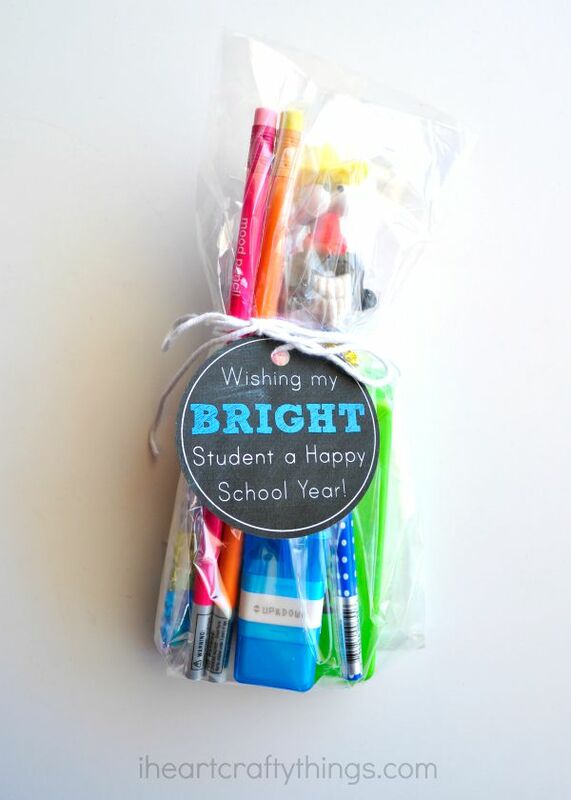 Arrange all of your colorful writing accessories inside your gift bag. 3. Place a piece of string through your gift tag and then tie it around your gift bag, closing it shut. 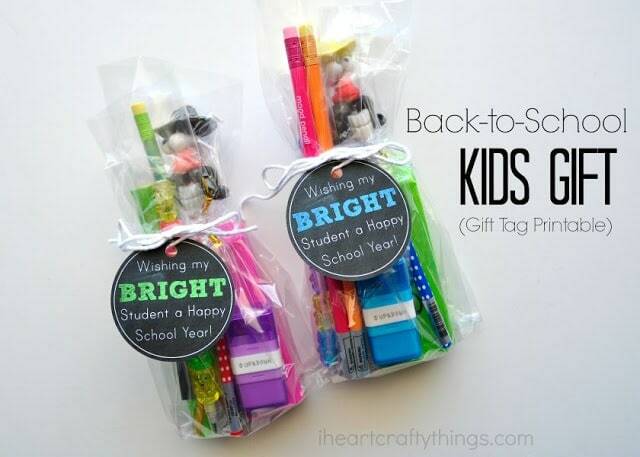 Now surprise your kids with the gift on the first day of school. Not only will they be off to school with new, cool writing gear, but they’ll feel extra special and confident seeing your special note. Make sure to check out more of Office Depot’s® awesome gear and Enter Now to win the #NewGearFeeling Back to School Sweepstakes! I’d love to hear what personality best fits your back to school shopping list after entering the giveaway. I think I’m a mix between Style Savvy Fashionista and Eager Educator. How about you?